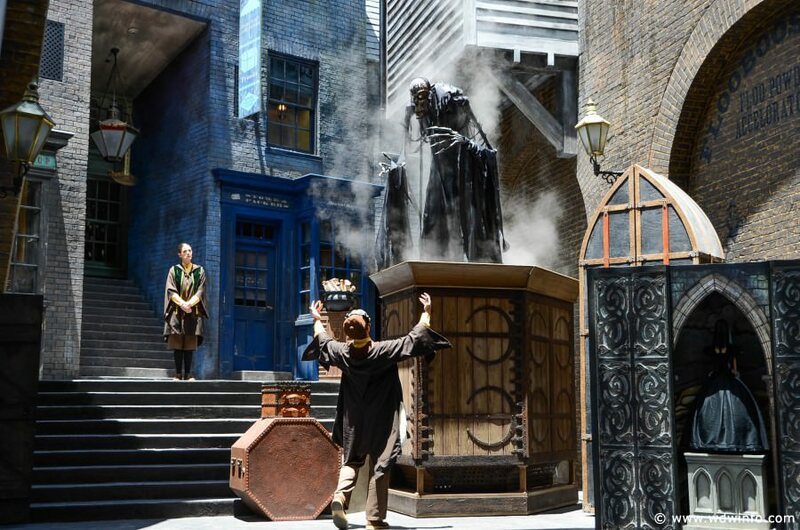 Storytelling has been a staple of the Wizarding World for as long as anyone can remember and some of the most popular stories ever told came from The Tales of Beedle the Bard. 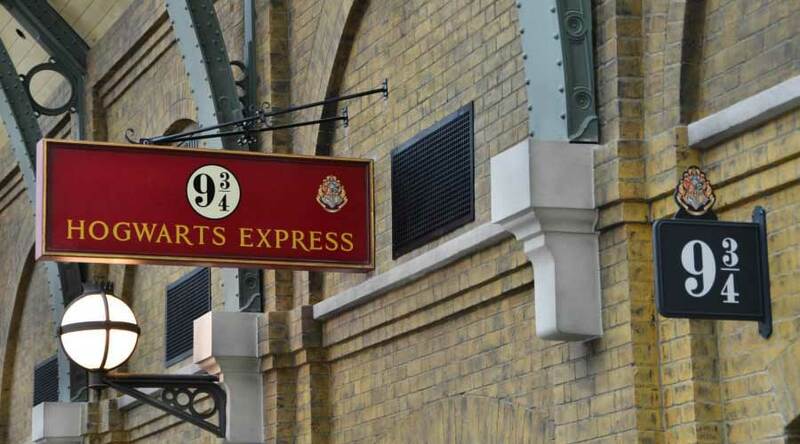 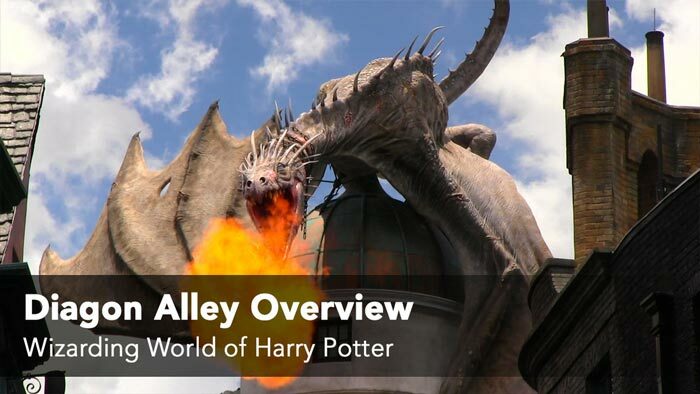 In Diagon Alley, graduates of WADA, also known as the Wizarding Academy of Dramatic Arts, recreate two of the Beedle the Bard tales using puppetry. 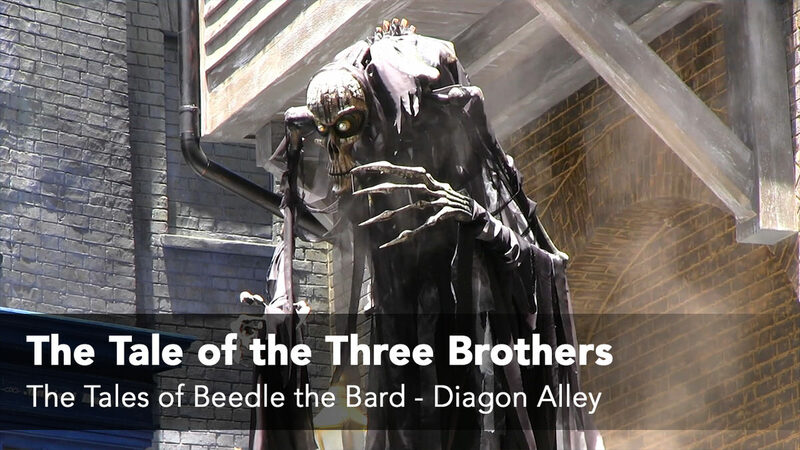 “The Tale of the Three Brothers” is about three brothers who cheat Death and are “rewarded” three gifts from him – a wand, a resurrection stone and an invisibility cloak. 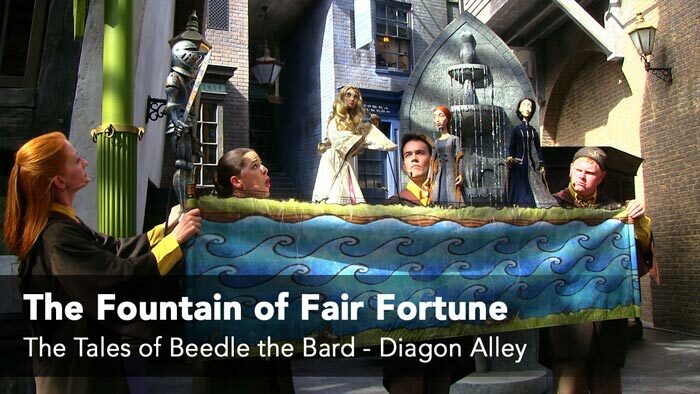 “The Fountain of Fair Fortune” is about three witches and a knight who are all dreadfully unlucky and hoping to change their fate in the waters of the Fountain of Fair Fortune.